We are specialists in Traditional Maori Musical Instruments, Pounamu, Bone Carvings, and Paintings. 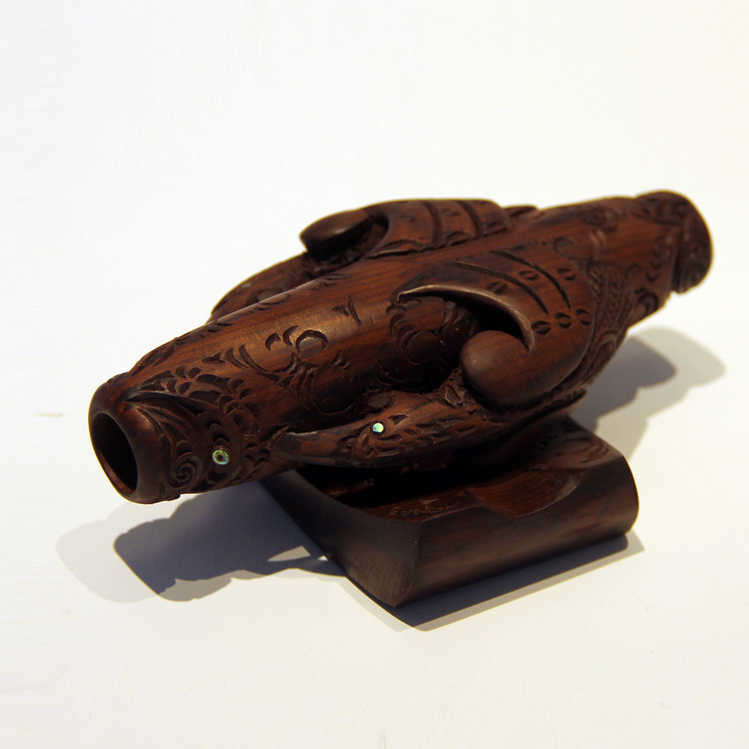 Our commissioned craft pieces and artworks all tell traditional stories or convey lessons from mythology. This display features paintings by Robin Slow and carvings by Brian Flintoff as presented in the Ngā Hau Ngākau exhibition as well as a feature video and music by Bob Bickerton. Stories and layers behind the imagery and music are eloquently explored and insights are revealed into an ancient world which is still relevant today. Now available to view online is a stunning artistic collaboration between Master Carver Brian Flintoff, Painter Robin Slow & Taonga Puoro Musician Bob Bickerton. Become immersed in this beautiful melding of craftsmanship, art and sound. Clem Mellish is of Ngā Puhi descent and carves mostly in New Zealand Jade 'Pounamu' and Pakohe a prized local metamorphosed mudstone. Brian manifests a unique passion for telling ancestral stories in old forms but in new ways – and telling them beautifully. My tūpuna would be profoundly envious of the treasures that we in our time are able to wear and display. They are treasures as beautiful as those of old. Brian Flintoff has taken an ancient art form and imbued it with new life. It now evolves and grows in a way that could not have been imagined even fifty years ago. He has been at the centre of that new life.